Note: Unit is not suitable for touch monitors, only monitors ! 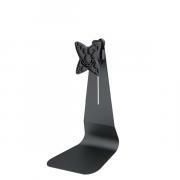 The NewStar desk mount, model FPMA-D850BLACK is a tilt-, swivel and rotatable desk mount for flat screens up to 27”. This mount is a great choice for space saving placement on desks using a desk stand. NewStars’ unique tilt (30°), rotate (360°) and swivel (45°) technology allows the mount to change to any viewing angle to fully benefit from the capabilities of the flat screen. The mount is manually height adjustable from 21 to 37 centimetres. Depth 6 centimetres. NewStar FPMA-D850BLACK has two pivot points and is suitable for screens up to 27" (69 cm). The weight capacity of this product is 10 kg each screen. 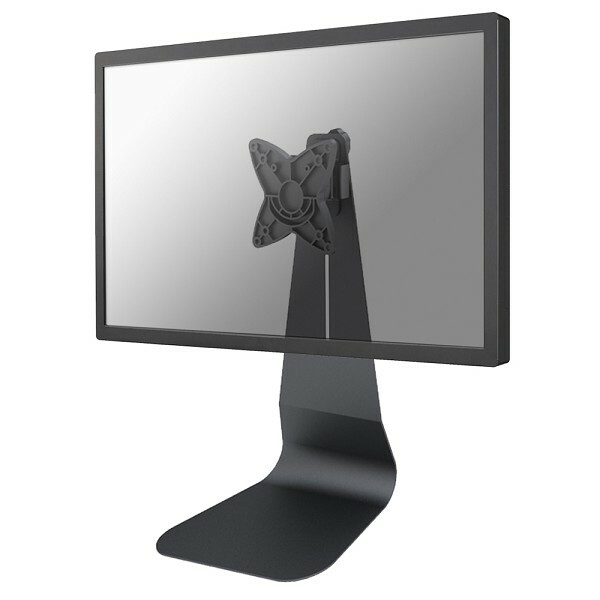 The desk mount is suitable for screens that meet VESA hole pattern 75x75 or 100x100mm. Different hole patterns can be covered using NewStar VESA adapter plates.